It is with deep sadness that we announce the unexpected passing of Joseph Yablonski on Friday, January 22nd, 2016 at the age of 88 years. He resided in Parksville, BC and was formerly of Moose Jaw, SK. He was predeceased by his parents; wife, Mary (Marchuk); and brothers: Victor, Eugene and Albert. Joseph is survived by his wife, Margaret; daughters, Carol (Del) Miller and Eileen (Wayne Sherlock); stepdaughter, Carie (Dale) Yaschuk; stepsons, Kurt Beutler and Kevin Beutler; grandchildren, Tracy (Mike) Mallory and Corbin (Amy) Miller; step-grandchildren: Ciara and Kade, Chase and Sterling; great-grandchildren: Peyton and Kamryn, Jessica and Hayden; brothers, Mike (Leeta) and John (Bernice); sisters, Mary and Elizabeth; as well as many nieces and nephews. Joseph was born on the family farm on July 18th, 1927 near Alvena, SK and had 5 brothers and 2 sisters. He attended Normal School and received his teaching certificate at the age of 18. He secured his first teaching position at Adamwika School near Rosthern, SK where he met and married his wife Mary (Marchuk) in 1948. His 36 year teaching career took him too many rural and small town schools within Saskatchewan, finally settling in Moose Jaw in 1965. He taught at St Mary School, followed by Sacred Heart School, and then retired in 1981. He then pursued a career selling real estate from 1981 to 2005. Joseph married his wife Margaret Dynna in 2000. They resided in Moose Jaw until 2010, then retired to Parksville, BC. They enjoyed many trips to Palm Springs and various places in the States. He took great pride in his yard and was an avid gardener. He enjoyed the fruits of his harvest by making great jams and soups. In his younger years he liked to spend time fishing, bowling and playing cards. He liked to play the accordion and never hesitated to play us a tune. He enjoyed summer holidays with his grandchildren. Joe was very involved in the Ukrainian Catholic Church, always available to help with various church function and activities. He was a loving, kind, caring and generous person, always willing to lend a helping hand. Joe was young at heart. He will be loved and greatly missed always. 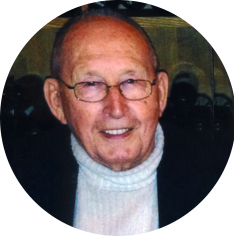 The Funeral Service will be held on Monday, February 1st, 2016 at 1:00 p.m. in Moose Jaw Funeral Home. Pastor Dave Munk will officiate and interment will take place at Rosedale Cemetery. In lieu of flowers, donations in Joe’s name may be made to a charity of one’s choice. And saw your tired face. He knew you were in pain. Get well upon this earth again.